41 years old Swedish actor, Alexander Skarsgård is best known for his role as a vampire Eric Northman on the HBO series True Blood. Moreover, Skarsgard is also famous for his role as Meekus in Zoolander, the title character in The Legend of Tarzan etc. Till now, he has also won many awards including Emmy Awards, Robert Award, Scream Award, Odense International Film Festival etc. Alexander Skarsgard was born on August 25, 1976, in Vällingby, Sweden. Skarsgard is the eldest son Stellan Skarsgård and My Sonja Marie Agnes. His father is also an actor and mother is a physician. Skarsgard grew up along with his five siblings Gustaf, Sam, Bill, Eija, and Valter. Furthermore, he also had with two half-brothers, Ossian and Kolbjörn. His brothers Gustaf, Bill, and Valter are also actors. Skarsgard completed his early education and attended the Leeds Beckett University for his higher education. Moreover, he is also the graduate of the Marymount Manhattan College. 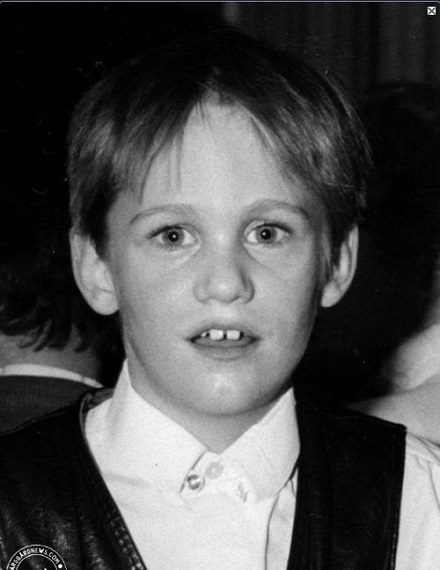 Since his childhood, Alexander Skarsgard developed his passion towards acting. So at the age of 7, his father offered him for his first film role. Well, in his first movie Åke och Hans värld, Skarsgard played the role of Kalle Nubb. However, at the age of 13, in 1989, he appeared as a lead role in the movie Hunden som log. But later, Skarsgard decided to quit his acting career for seven years. So at the age of 19, he applied to do his national service where he served for just 18 months. After that, Alexander Skarsgard continued his acting career. Well, till now he has appeared in many movies as well as television series which are listed below. Well in 2017, Alexander Skarsgard appeared as Perry Wright on the series Big Little Lies along with Laura Dern, Sarah Baker, Nicole Kidman, Reese Witherspoon and others. He also won the Emmy Award for the following series. Furthermore, till now Skarsgard has also won as well as has been nominated for many awards. They are listed below. However, in 2017 Skarsgard appeared in the movie Mute as Leo Beiler. Moreover, he also appeared in the movie The Aftermath. Well, in 2018, Alexnder Skarsgard will be appearing in the movie Hold the Dark. One of the renowned actor Alexader Skarsgard is not married yet and having children is out of concern. Well, although he is successful in his professional career, Skarsgard has failed many times in his love life. Recently in 2017, he separated with his beloved girlfriend Alexa Chung. This couple started dating each other in 2015. However, after two years they separated due to the mutual misunderstanding. Besides this, Skarsgard has also dated many girls in past which are mentioned below. Hope he will soon find a perfect one for him. Versatile actor Alexander Skarsgard has earned a decent amount of money from his acting career. His main source of income is through the acting. Well, till now Skarsgard has appeared in many movies as well as television series from which he is able to collect a good sum of money. However, his current estimated net worth is $12 million which is totally worth.